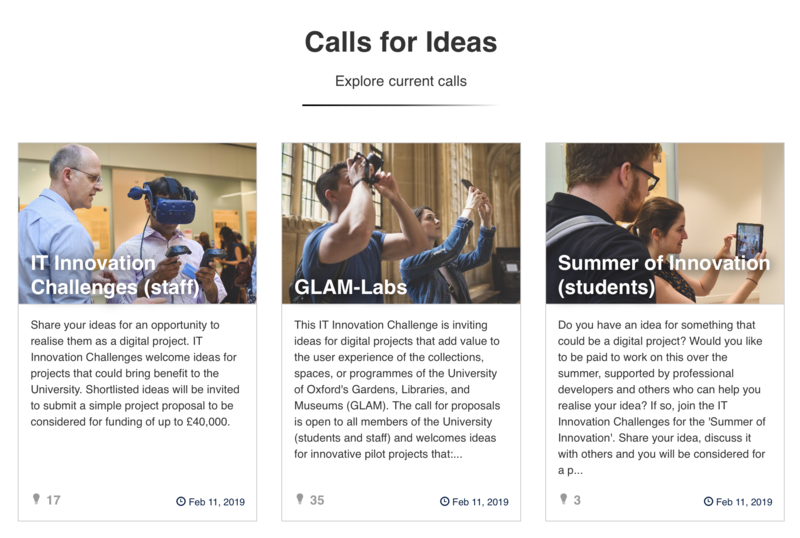 We are pleased to announce that 59 ideas have been submitted to the IT Innovation Challenges this term. You can now support your favourite project ideas by commenting on them and voting for them if you would like to see it go through to the next round. Your comment will not only help the project team to think their idea through, but it can also influence the panel’s decision about which ideas to take forward! To cast your vote, go to Oxford Ideas and register with your Oxford email address, if you have not already done so. Please note that commenting will close on February 11. If you have any questions, please get in touch with us directly at innovation@it.ox.ac.uk.